This is an important and informative video demonstrating how to turn off your home power during repairs or in an emergency. Comments Off on This is an important and informative video demonstrating how to turn off your home power during repairs or in an emergency. Special offer for Real Estate Friends on LinkedIn. Save 10% on your next service call, electrical home inspection. or new wiring installation up to $150 off your invoice. Please provide the code Get 10 when you pay your bill. This Promotion limited to our Real Estate Agents Friends on LinkedIn. The electrical service for a home is analogous to the motor of a car. It provides the power to drive the home’s electrical usage — from the refrigerator to the lights — just like a car’s motor provides power to the wheels. Both consume energy and provide us with modern comforts or transportation. 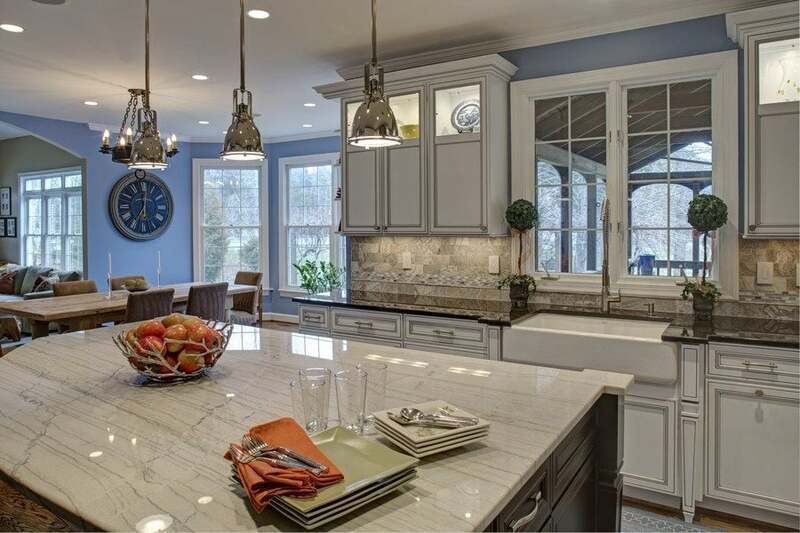 The Electrical Service for a home is comprised of four main components. Understanding them is useful when buying, selling, inspecting, or maintaining a house. 1. The Meer Loop and Meter Enclosure: This is the beginning of the home’s electrical system. The house connects to the utility wiring at the Service Point which is the taped connections at the weatherhead, in an overhead service and the underground splices at the hand hole, or vault in an underground service. It is important to observe the age and condition of this equipment when buying or selling a home. Check that the meter ring has the utility seal and verify that the overhead connections are the permanent type made by the utility company and not the temporary ones made by an electrician. 2. The Service Entrance: This is the conduit and wire that connects the meter to the home’s electrical distribution panel. Check that conduit is installed to protect the entrance wires and the penetration into the building is caulked. 3. The Electrical Panel: “The breaker box” as it is commonly called protects the home and its occupants from the consequences of overloads and shorts. 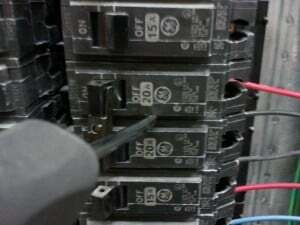 Red Flags are electrical panels that have fuses rather than circuit breakers; and Zinsco; Federal Pacific; Pushmatic; and Split Bus type breaker boxes. *Part A* the grounding system can route high fault currents from the utility company or a lighting strike away from the house and may have other benefits. *Part B* the bonding system in a properly wired home will protect people from electrocution and house fires. A properly installed bonding system, which includes three-pronged “grounded” receptacles is far more important than the grounding system of a house. The grounding system may divert a surge away from electronics saving some financial loss. The bonding system will shut down the home’s electricity when there is a ground fault or an overload to the wiring. Contact us now for a huge selection of all of the hard to find Zinsco Circuit Breakers at special pricing. All breakers come with fast free shipping and a one year guaranty! Free local delivery in Seattle, Bellevue, Kirkland, Redmond, Lynnwood, Everett and surrounding areas. Call (206) 633-3896 or email service@elcose.com. Good Electricians are Fire Prevention Specialists! 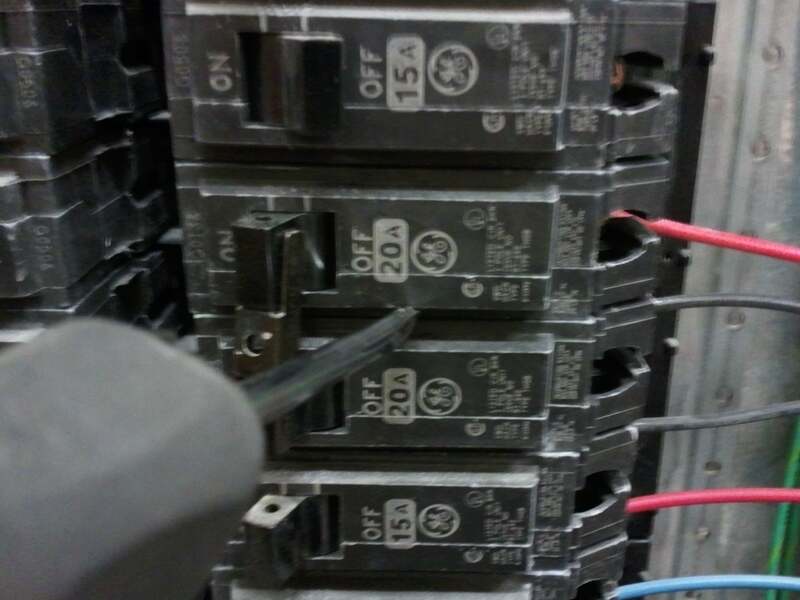 Comments Off on Good Electricians are Fire Prevention Specialists! You can follow The Electric Company of Seattle on Facebook. Click the link for a chance at special offers and more. If your power goes out a lot or the lights in your home flicker, smell bad or make noise, have an electrician come to inspect your wiring. Outlets near water sources, such as those in your kitchen and bathroom should have a Ground Fault Circuit Interrupter (GFCI) built in. This can protect you from a dangerous shock when using an electrical device in a wet or damp environment. All electrical outlets and switches should be covered by faceplates to prevent accidental contact with the side or back of the device. Ensure that the electrical cord on any plug-in device is in good condition. If in doubt, buy a replacement or have the device repaired. Smoke detectors that are hard wired and connected together are a great investment. They will notify you in case of a fire by sounding an alarm in all parts of the house. Electric in-wall heaters should be vacuumed two times a year to prevent the buildup of combustibles on the heating elements.